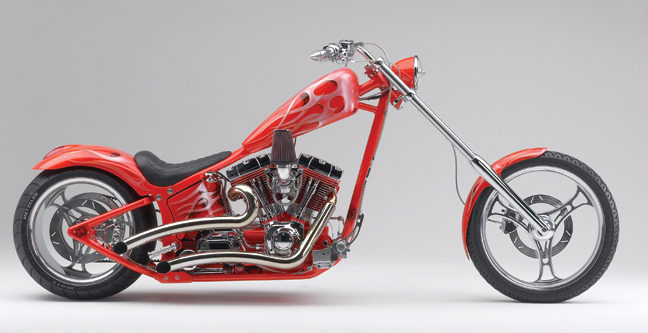 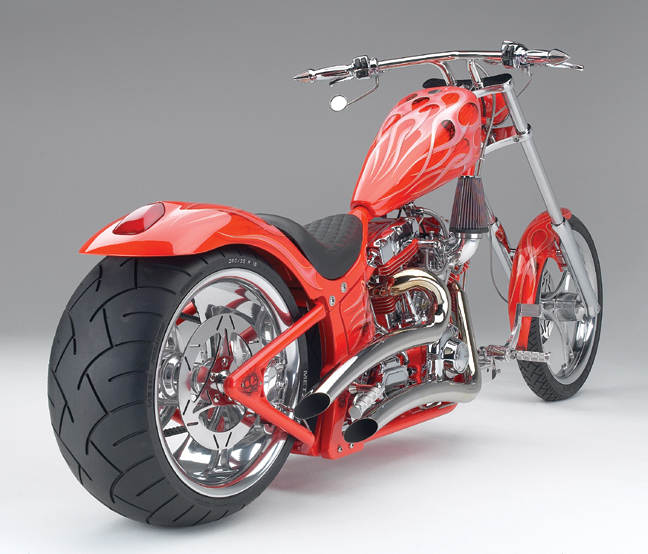 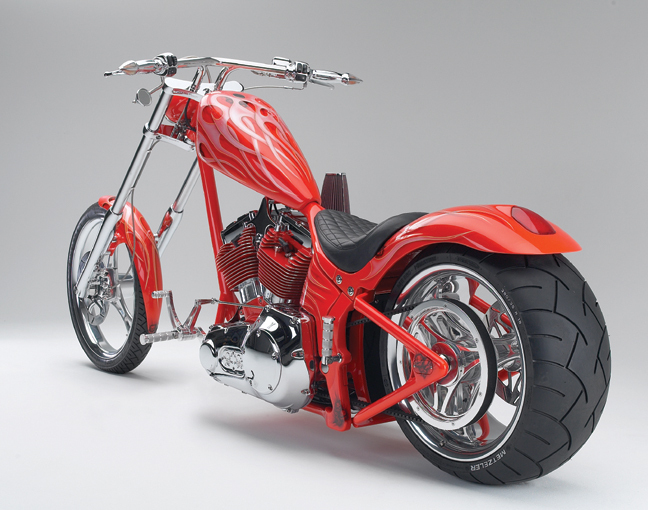 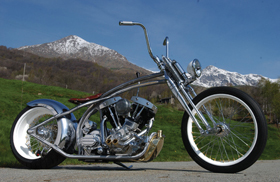 280 Custom Chopper featuring our 3 spoke cut 21×2.75 custom motorcycle wheel and our turn signal grips. 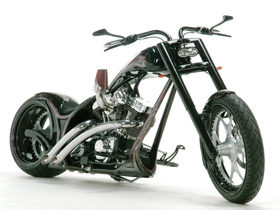 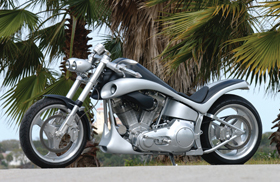 Side view of our 280 Custom Chopper showing our 3 spoke cut 21×2.75 custom motorcycle wheel, our 3 spoke cut 18×10.5 custom motorcycle wheel and our 3 spoke cut custom motorcycle rotors. 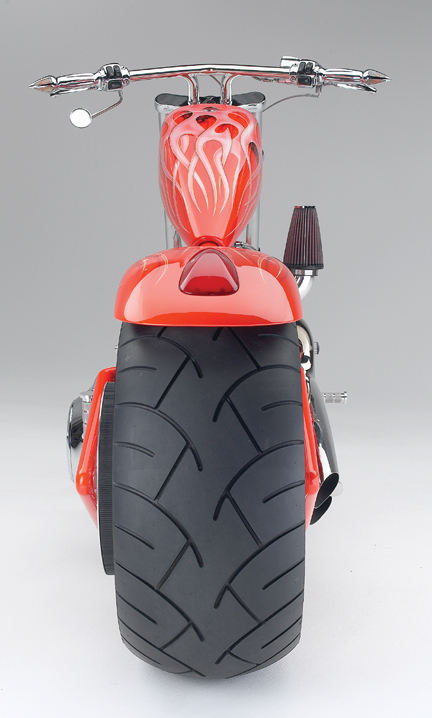 Another view of our turn signal grips, 3 spoke cut 18×10.5 custom motorcycle wheel and 3 spoke cut custom motorcycle rear pulley. 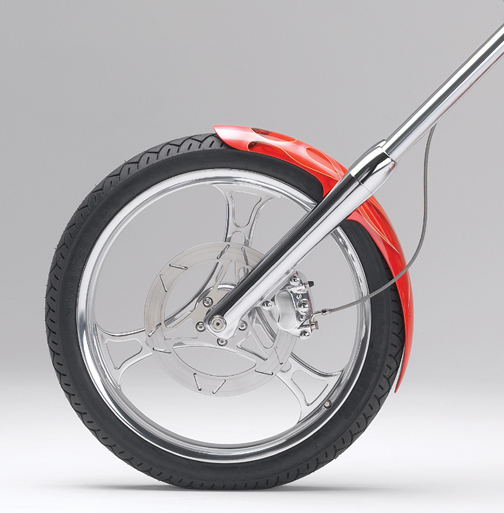 You can also notice how our custom motorcycle pop-up gas cap sits perfectly flush to the chopper gas tank for an “invisible look”. 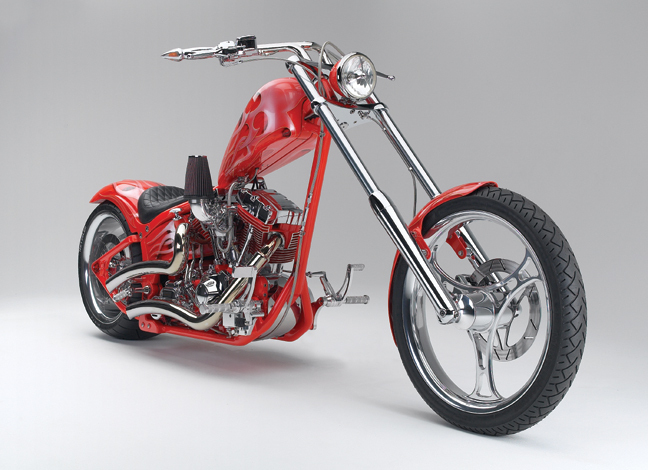 Left side view of the 280 Custom Chopper showing our 3 spoke cut 21×2.75 custom motorcycle wheel, 3 spoke cut 18×10.5 custom motorcycle wheel, 3 spoke cut custom motorcycle rotors and 3 spoke cut custom motorcycle rear pulley. 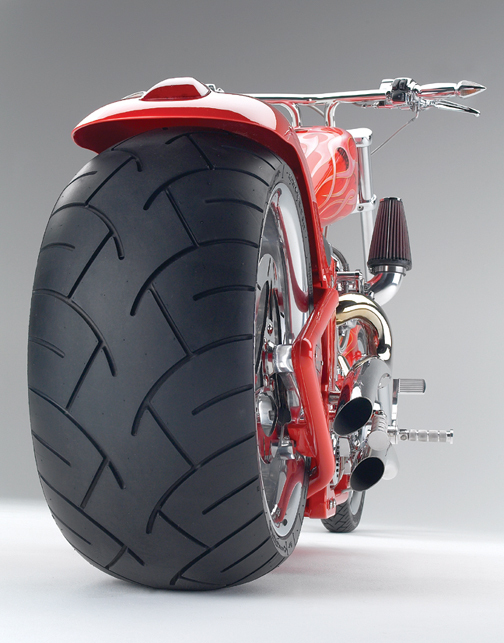 Here is a close up of the massive Metzeler 280/35 R18.